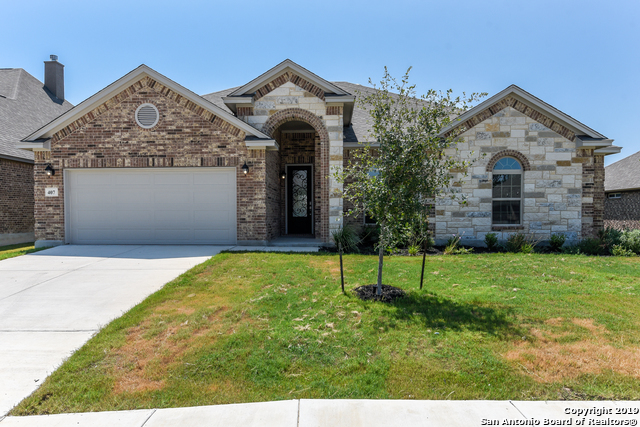 All STEVENS RANCH homes currently listed for sale in San Antonio as of 04/26/2019 are shown below. You can change the search criteria at any time by pressing the 'Change Search' button below. "Beautiful 4 bedroom, 3.5 bath two-story home located in the thriving community of Stevens Ranch! 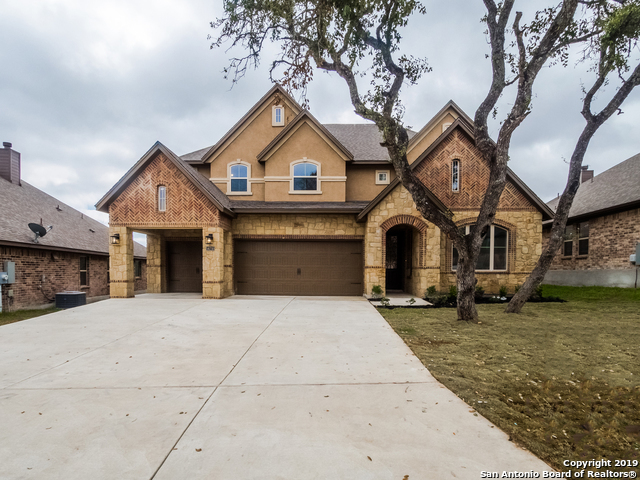 The home features a master bedroom downstairs, tile +vinyl plank floors, high ceilings, stainless steel whirlpool appliances, office area, an open game room overlooking the downstairs, large bedrooms +great sized walk-in closets. The home sits on a greenbelt & includes a covered front & backyard patio. Sprinkler system, mature trees, home automation system, and pre-plumbed for a water softener! Commu"
"Elegant custom 1 story brick home located in the highly desired Stevens Ranch. The spacious family room is open to the gourmet kitchen, large granite counter island, modern mosaic backsplash, stainless steel built-in appliances, 5 burner gas stove, pendant light, and 20x20 tile floors. Plenty of storage space throughout.Mother-in-law guest suite, beautifully upgraded master bath w/huge walk-in closet, knotty wood entry door, full security smart home system + large covered patio & sprinkler syste"
"Walk your kids to the Northside Elem & Middle schools in the community! 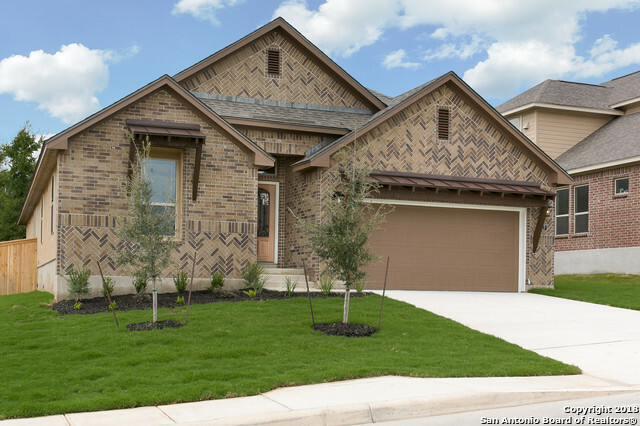 The Coryell, a cute 2,382 SF, 1-st w/ 4 bdrs, 3 baths, & study! Tile in family & wet areas, & large wrap around rear patio (28' long)! Gutters, built-in SS appliances and 8' doors. Tons of additional bells and whistles. Home is under construction and will be complete April/May '19. Kitchen picture is not of actual home, but the same plan." "This beautiful home offers dimmable custom lighting, 6 gutters, dual 50 gallon hot water heaters, & Rain Bird watering system. Hunter Douglas Duette shades throughout w/ glide rod & two shade options allowing blackout + filtered light. Picturesque glass sliding window doors open to oversized patio. Scenic/quiet, wildlife viewing through wrought iron fence to greenbelt. 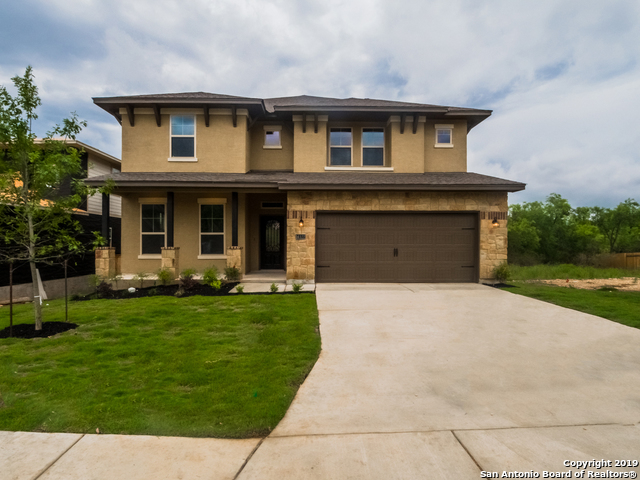 1 mile off Potranco w/ quick access to Hwy 90, Loop 1604, & Lackland AFB. INCLUSIONS: french door refrigerator, washer/dryer, ga"